Psychotropic drug use was more common among persons with Alzheimer’s five years before the diagnosis, and the difference to comparison persons without AD increased at the time of diagnosis. Four years after the diagnosis, psychotropic drug use was three times more common in persons with AD than in persons without Alzheimer's Disease. Psychotropic drugs are frequently used for the treatment of behavioral and psychological symptoms of dementia in persons with Alzheimer's disease (AD). 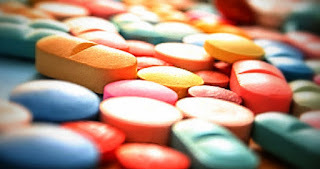 Evidence for benefits are limited and concerns have been raised about the safety, especially for the concomitant use of multiple psychotropic drugs. The objective of this study was to investigate prevalence of psychotropic drug and psychotropic polypharmacy (PPP) use and associations with PPP among persons with and without AD, from five years before until four years after AD diagnosis at time points every six months. Of psychotropic drugs, the use of anti-psychotics was almost eight times more common among persons with Alzheimer’s disease than among comparison persons. There were no differences in the use of benzodiazepines and related drugs. The use of at least two psychotropics concomitantly was three times more common among persons with Alzheimer’s disease four years after the diagnosis. The most common combination included an antidepressant together with either an antipsychotic or a benzodiazepine. whereas memantine use was associated with an increased risk. The results were published in European Neuropsychopharmacology. Kim Orsel, Heidi Taipale, Anna-Maija Tolppanen, Marjaana Koponen, Antti Tanskanen, Jari Tiihonen, Helga Gardarsdottir, Sirpa Hartikainen. "Psychotropic drugs use and psychotropic polypharmacy among persons with Alzheimer's disease". Did you know the Alzheimer's Reading Room contains more than 5,000 articles and has been published since July, 2009? The website is designed to help caregivers deal with the problems they face each day.